Drip is marketing automation software that allows you to configure and send customized, automated emails to marketing, trial users, and paying customers. Drip recently completed an integration with Chargify, and we know a number of Chargify merchants will find their service very useful. This is a guest blog post from Drip’s founder, Rob Walling. 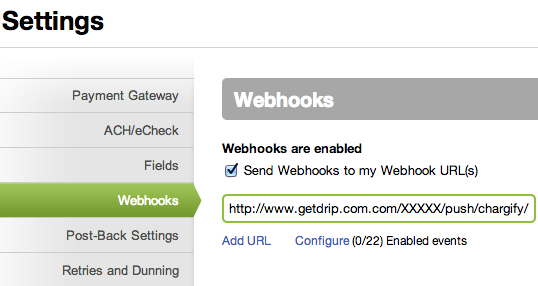 Login to Chargify, choose your site and go to Settings->Webhooks. Click “Add URL” and paste in your Drip webhook URL. Click “Configure” and enable only the events that you would like to send to Drip. Any time Drip receives data from Chargify, it will automatically add the customer as a subscriber (if they are not already in your account) and record an event for that subscriber in Drip. For example, if you want to tag new customers in Drip, create an automation rule with a trigger for the Signup success event and an action to apply the “Customer” tag. 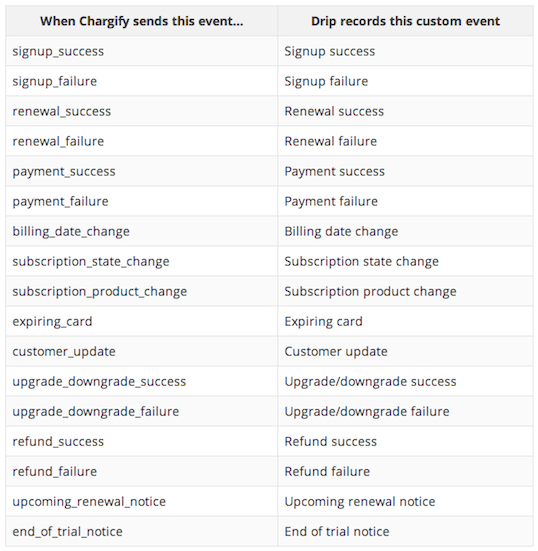 Below is a complete mapping of Chargify events to Drip custom events. 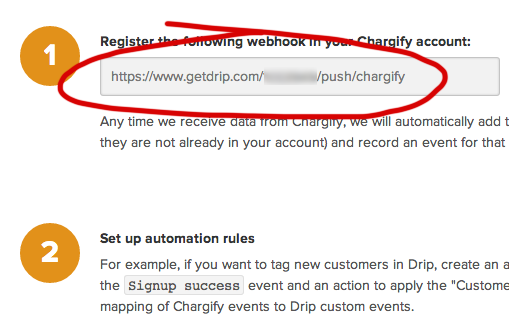 A full list of Chargify webhook events is shown on the Chargify docs site.